Anyone who cares about jobs in America--and that is everyone--should take a hard look at the perilous state of the Texas economy under Governor Rick Perry. In a terrific piece in the New Republic, Abby Rapoport spotlights a budget shortfall that is among the worst in the nation--$27 billion short of what the state needs to pay its bills--and that's taking into account a slew of gutted programs. Speaking of taking things into account, the Texas budget is riddled with accounting tricks that defer, and hide, the bad news. Governor Perry's initial response to his own debt crisis? Make cuts that would cost the state over 300,000 future jobs. You read that right: 300,000 jobs. Texas' unemployment rate for June 2011 tops Louisiana, Minnesota, Alaska, and Massachusetts--though it isn't as high as the national rate. Sure, Texas has added loads of jobs in the last year--in an oil and gas rich state with massive military and space installations; all those federal subsidies to Texas just go to show how government spending can help sustain and create jobs. Those are the very expenditures he is against. And it is surprising that unemployment in Texas is as high as it is. But the truly telling detail is in Perry's response to the cow patties hitting the books next go 'round: cut the jobs, cut spending on schools, and stop helping those in need. Perry's record doesn't sound like the leadership we need for America. Take a look at this video of the inimitable Rachel Maddow; she debunks the Texas Economic Miracle. Add to that record that Texas refuses to regulate the air pollution that has sent asthma rates skyrocketing among Texas children--east Texas is home to seven of the worst mercury-emitting power plants in the country. Mercury is a potent neurotoxin and unfiltered coal-fired power plants are the largest source of mercury poisoning in the country--mercury from coal ends up in our water, and then in our food. Perry's answer to everything is the same: Prayer. Personally, I'm praying for Republicans to re-center themselves. You had me 'Rick Perry is a job killer,' but the clip from Rachel Maddow, my hero, puts me over the moon. Yes, I too hope that Republicans will re-center themselves, but more than that, I hope the Democrats will call them out loudly for their hypocrisy. Even better would be if Bernie Sanders ran for president. I would vote for him, but even more, I would love to hear him debate Obama. Perhaps then we the Democrats would stop listing further and further to the right. I see this is a political blog.... Boring and one sided. It is you blog but personally I don't like it. After seeing the debt crisis circus bull ~ I am disgusted with politics. I can't stand our president and I am completely disgusted with the games both parties play. I did not like your blog today AT ALL.......and I was always one of your biggest fans. No more. fair weather friends. You scare me. What would really make me happy is for when Dominique does post a political opinion, there's a discussion of the issues. We can agree with her or disagree. Why get personal? Can't we just debate the issues? dominique's political views are very clear for anyone reading this blog on a regular basis. there are PLENTY of people who agree politically with her and i am very much one of them. dominique, i appreciate your posts on politics... keep posting!!! and to anonymous: post your name - take responsibility for your viewpoints. Yes, if there are political issues cited in blogs it would be great if we could read opposing facts and/or opinions, not curt dismissals. Dominique has stated her opinions concisely and has links to sources that she believes reinforce her opinions. Opposing viewpoints with links would be interesting and helpful rather than off-putting. Some of us are not 100% right or left and welcome opinions from bloggers we admire, such as Dominique. Maybe you don't understand what a blog is -- it is a vehicle for an individual to express their opinions and feelings on a whole host of issues. It really isn't up to Dominique to present opposing facts that she doesn't agree with. Instead, it is up to you to seek those opinions and facts out from other sources. Dominique's opinion is just one source. Or, if you disagree with Dominique's opinion or sources, why don't you supply sources for opposing facts in your comments -- that's what makes it a conversation! Rick Perry will be the next President of the United States. As can be observed in the comments to this post, politics is the most divisive subject in our country today, one that seemingly cannot be brought up in polite company without a near screaming match. Dominique is a wonderful writer and a fabulous photographer, and the majority of her posts have been a joy to read. My discomfort in reading them began with what I call the environmental rants, and now her preaching about the evils of Governor Rick Perry are a real turn-off for me. Somehow or other, I don't see a blog called Slow Love Life as being the stage for discussing political matters. Perhaps a separate blog by Dominique on the politics of life and current events would be a better venue for everyone to vent their opinions. Well, "Mytwocents," you raise a really interesting point about what "SlowLoveLife" is....I would argue that nearly everything we discuss is political or is somehow impacted by our world view. Unlike the wonderful David Terry, I have trouble reading and enjoying literature by writers whose political view I abhor -- but that's just me. As far as what Dominique's vision is for her blog and the meaning of "SlowLoveLife," that is hers to define and shape. That's the beauty of blogging, one gets to be the boss of one's own writing. This is in stark contrast to writing for someone else's publication that has both an agenda and advertisers. As a blogger, one gets to set one's own agenda. Now since I agree with most of Dominique's views, I enjoy all of her posts. And I think it is hugely important that someone like her, who can reach a lot of people, uses that as an opportunity to educate them about environmental issues or what they see as political craziness. 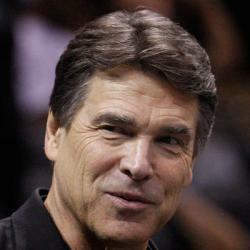 Perhaps Rick Perry will become president as "anonymous" hopes. If so, I hope that people like Dominique will continue to speak up loudly about injustice. And honestly, do any of us really want to live in a country where the richest 400 people in the country have more wealth than most of the rest of us? Are any of this blog's readers among those chosen few? I think not. And if you are not, why wouldn't you want to live in a country where health care, housing, and education are viewed as rights that should be available to all, not the privileged few. Even the very rich will some day get old and sick. It is to their benefit that those who will be taking care of them get the best possible start in life that includes all the benefits I listed above.
" Next time I tell you someone from Texas should not be president of the United States, please pay attention." I love Texas, but sometimes I think we are in a race to the bottom...in education, air quality, health services,etc. If you thought GWB was a moron, you ain't seen nothing yet. Ah, August. Nothing could be slower in DC! I love it. Every member of congress has returned to their political womb and the pundits are desperate for talking points. Talk about SlowLoveLIfe! Loved the baloney sandwich. More to chew on every Sunday! PS I agree with Molly Ivins and miss her almost as much as David Terry! Holy cow, I don't know what scares me more--the support here for Perry (I read in the NY Times today that 45% of Texans live below the poverty line--is that what we want for the rest of the US? For the children?) or the surprising responses to this forthright and well-documented post. WHAT ON EARTH IS GOING ON WITH MY COUNTRY? WHY AREN'T MORE PEOPLE SPEAKING UP TO SAY NO? I am horrified. These are not at all the ideals that my hard-working parents instilled in me as a child. Where is the room in this type of ideology to support the immigrants from all backgrounds that made our country great? The "us" against "them" thinking is so terribly dangerous--haven't we seen that enough in recent years? And to what end? And, as it is Dominique's blog, frankly, she has the right to write about whatever she wants. Her honesty is what has drawn so much of us to her on a regular basis. i would hope that any nay-sayers had at least done her the respect of actually reading, beyond the opening paragraph, the sources that were cited. I personally am not in need of an Army of God directing the United States' future. Please, let's all hope (or pray if you wish) that money does not buy the vote this time. Thank you so much, Ms. Browning for this post. "PS I ... miss her [Molly Ivins] almost as much as David Terry!" Can't quite get into the miss-David-Terry thing as I think Dominique satisfies my Slow Love appetite exceedingly well on her own, but might I suggest [as I did in the entry ahead of this one] that the gentleman respond to his overwhelming support, and consider starting a blog of his own. It would be a marvelous showcase for his work, his thoughts and his passions. Very much enjoyed your blogs today. Clear thinking, well documented and anyone thinking it's boring and one sided can find plenty of other comments to balance it out on News Corp media...too often neither well documented nor clear thinking. the person who said so many Texans live below the poverty line needs to wake up and smell the coffee. It's all illegal aliens coming across the border from Mexico!! Slow Love Life blog is one of the pleasures of my day. Sea glass, politics, gardening, hosting, Dominique has her eye on the world, small and large. All from the view of living a slower, well observed life. We the readers react and respond with opinions and thoughts. Comments on this blog are part of its charm. Demanding or suggesting that the blog and readers refrain from topics which don't suit a personal view - not so charming. We all have to choice to read or not. My inability to convey my admiration for Dominique is why I am unsuited for writing. My comment was meant to suggest that those who disagree might do so in a manner that informs rather than insults. I check in daily for Dominique's lovely observations, her views - political or otherwise - and her writing. That she takes the time and effort to freely share with us through her blog is wonderful. Maybe Rick Perry is the best thing that could have happened to the Democrats. He has a lot of political baggage which will make it easy to show he just isn't presidential material. For one, how can anyone who advocates Texas secede from the United States of America be its next president. I am a Texan but, more importantly, I am an American. OMG! Thank you COLLEEN SWEENY!!! I always find it interesting that the majority of opposing views post anonymously. If you want to spew venom at least have the guts to sign your name... if you can. I say carry on Dominique! I do not nor have I ever liked the anonymous posting. Be who you are and stop hiding. I think that there are people who post on blogs just hoping to stir up trouble. Yet....I think it is a good thing when folks feel free to express a counter opinion. I wonder what the result would have been had blogging been available to the early settlers of this country. North America Wired for Internet...1612! PS One has to retain a sense of humor on the web!